Over the past year, Charlotte as a whole, and particularly the Lake Wylie area, has seen a shift from a fairly balanced market to more of a seller’s market, as the number of homes on the market continues to dip. According to April’s monthly report released by the Carolina Regional Realtor Association, inventory is low. Lake Wylie had 4.4 months of inventory in April, with 367 homes on the market, whereas the same month a year prior had six months of inventory and 448 homes on the market. This 18 percent drop in homes for sale and 26 percent drop in months supply are significant. 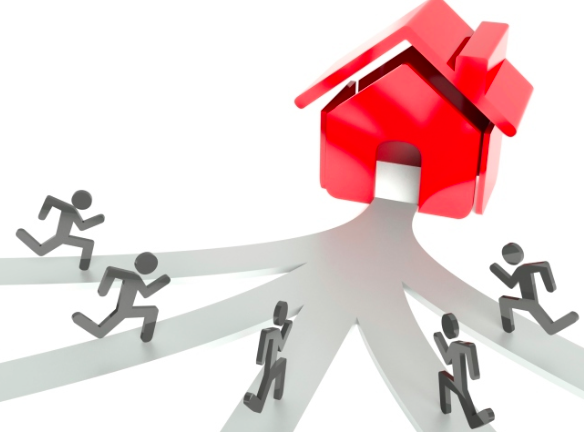 With less homes on the market and an increased demand, the sales price is driving up. Last month’s average sales price was $345,297 with the median sales price locking in at $300,000. The 2015 numbers for the same month were $312,646 and $273,000, respectively, indicating approximately a ten percent increase year over year. Last month’s number of new listings in Lake Wylie were up over 25 percent from last April’s numbers, perhaps indicating a shift in inventory. 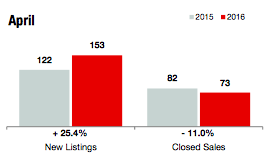 On the contrary, as for the entire Carolina Multiple Listing Service region, there was very little change in the number of new listings from April of 2015 to April of 2016. However, there was a drastic drop in inventory (down 34.1 percent), with months supply dropping from 4.4 months to 2.9 months, and total homes on the market dropping from 14,330 to 10,513 (down 26.6 percent). Mecklenburg County saw a similar percentage change in inventory and had only two months supply of homes for sale available in April. The market certainly seems to be favoring the sellers, but we will have to stay tuned to next month’s report to see where the numbers will lead.